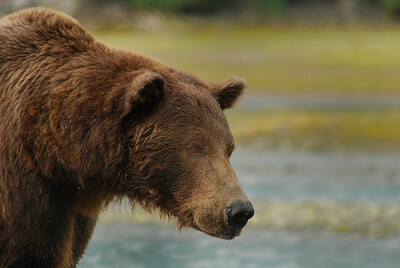 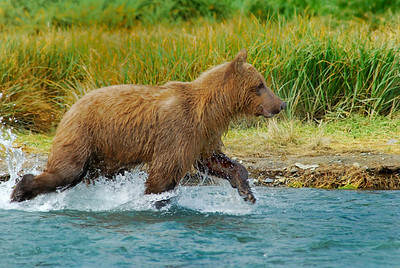 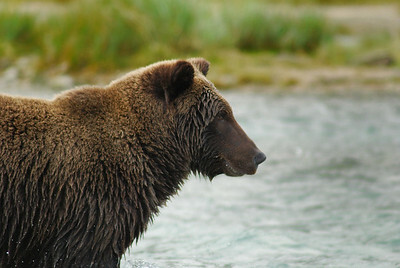 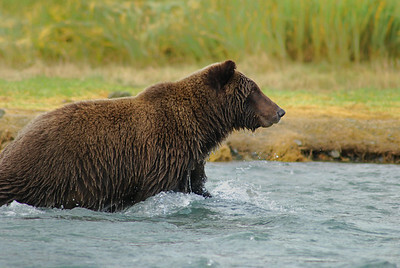 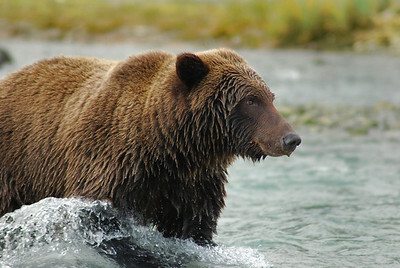 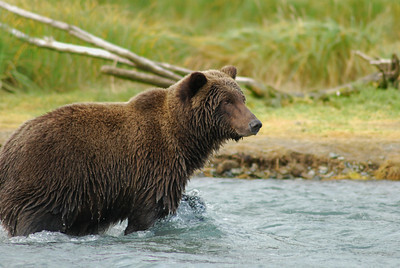 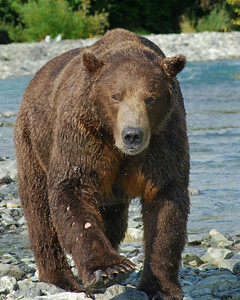 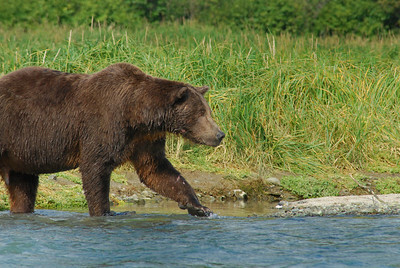 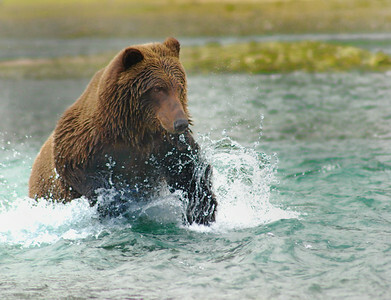 Katmai National Park in Southwestern Alaska is about 675,000 acres set aside for Grizzly Bear habitat. 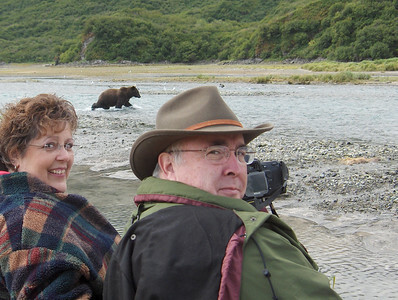 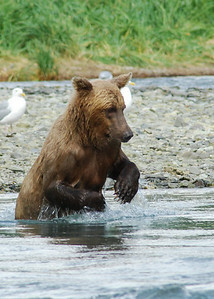 We flew into to Geographic Harbor from Homer and enjoyed the day bear watching in September of 2008. 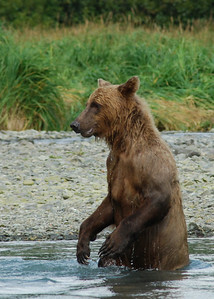 Grizzly Bear in Katmai National Park, near Geographic Harbor Alaska, we nicknamed Skinny because he never caught a salmon while we watched him for more than an hour. 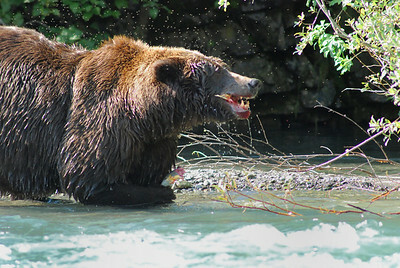 Grizzly Bear in Katmai National Park, near Geographic Harbor Alaska, big Mama eating one of several salmon we watched her catch. 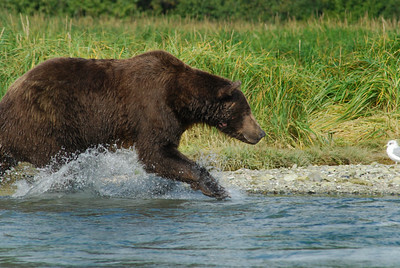 Estimated at 800lbs. 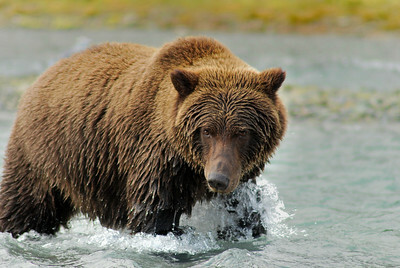 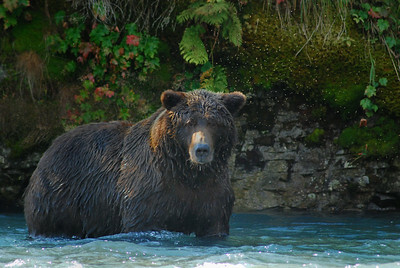 Grizzly Bear in Katmai National Park, near Geographic Harbor Alaska, Big Mama, estimated at 800 lbs, took a fish whenever she wanted one. 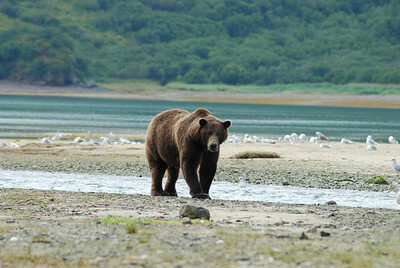 Grizzly Bear in Katmai National Park, near Geographic Harbor Alaska, large male that came within 10 feet before turning. 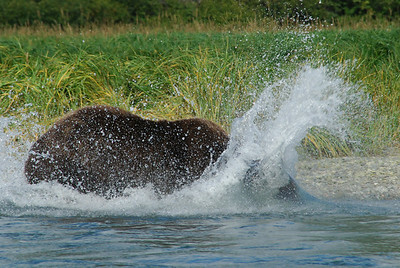 We convinced ourselves that we could run faster than the older lady in our group...so we were safe!